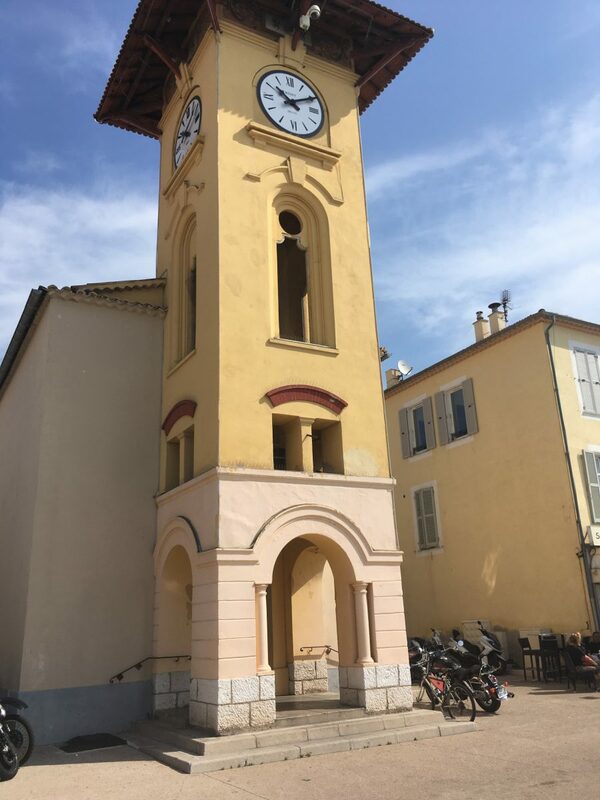 One of my favourite markets is held every Tuesday and Thursday at the nearby fishing port of Cros de Cagnes which has narrow streets, colourful fisherman’s houses, bars and restaurants spread around the distinctive yellow Clock Tower, part of the church of Saint Pierre. 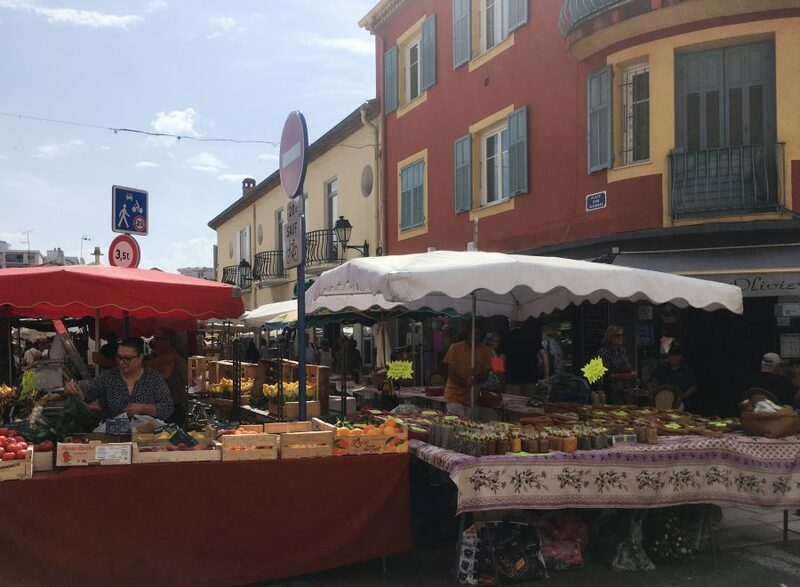 The market is arranged up and down its main shopping street, avenue des Oliviers, which also has a number of fantastic shops, including a fromagerie, a quincaillerie (hardware store) and a fishmonger. 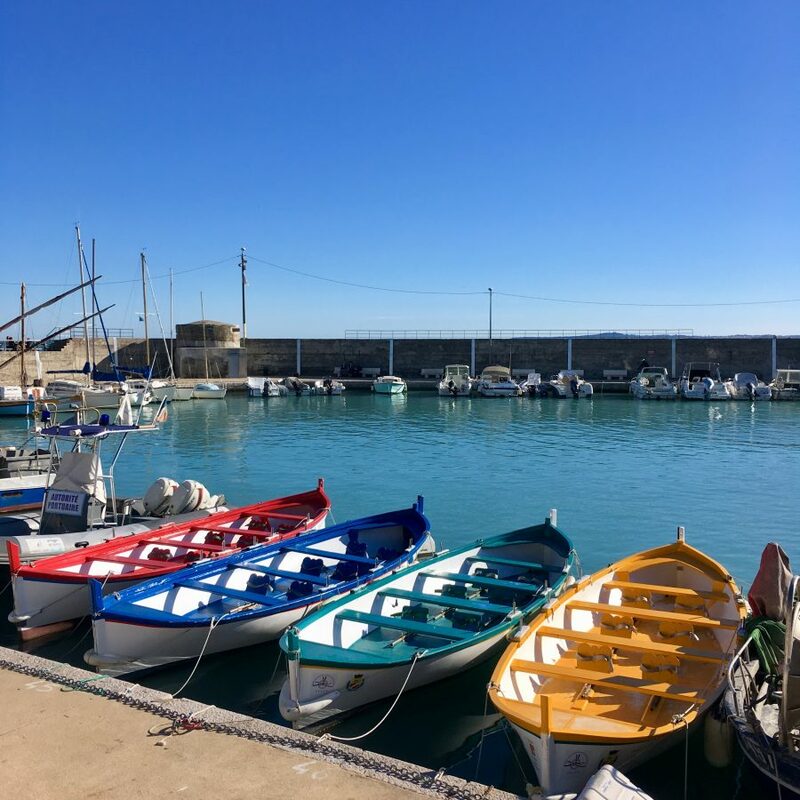 The area was first populated by Italian fisherman back in the early 19th century, around 1813, when most of the area was still under Italian rule. The first boat builders settled here around 1860. The marine community adopted Saint-Pierre as their patron saint and built the chapel Saint-Pierre in 1866. Around 1920-30, the fishing port was extremely active with 200 or so fishermen making their living there. The sheltered port was built in 1939 but today hosts only a few remaining fishermen. 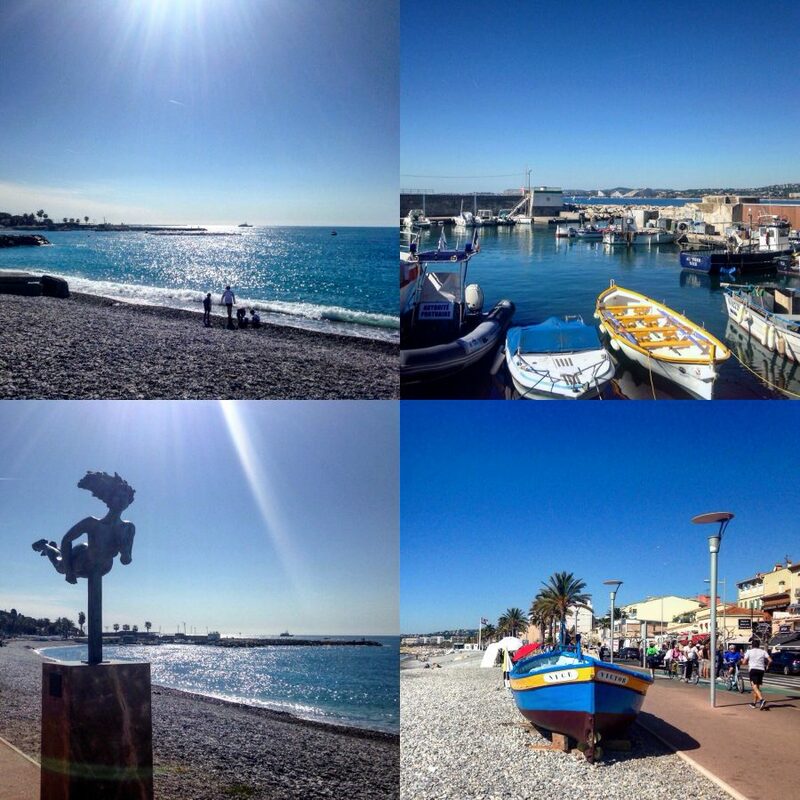 Cros de Cagnes is home to the oldest coastguard station of the SNSM Alpes-Maritimes. 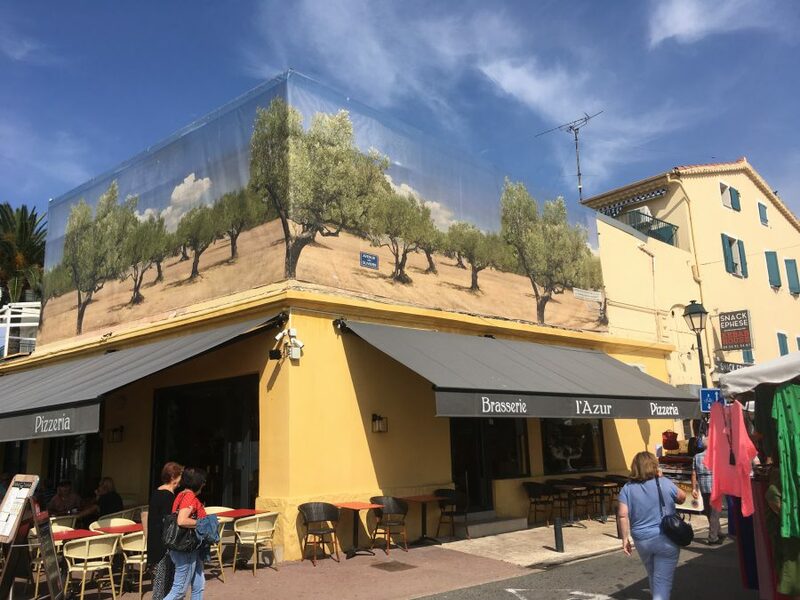 Unsurprisingly, Cros de Cagnes is home to some excellent fish restaurants such as the family-run Charlot 1er. Also, there’s our favourite local Italian restaurant Gusto, just a few metres further on. Both restaurants do a mean spaghetti with lobster! 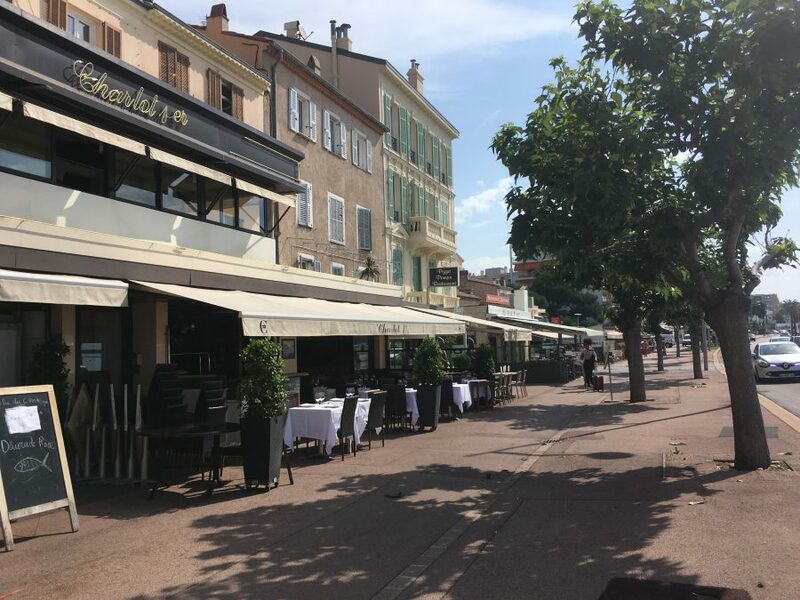 There’s also a good seafood restaurant in avenue des Oliviers but it doesn’t benefit from a seafront location like these two. Equally important, the seafront is home to my local bike shop. And, talking about the seafront, there’s nothing better than a stroll along it whatever the weather! Beautiful photos Sheree! I love a good market, and those colorful boats are darling! indeed nice photos, love markets anywhere. one of my best friends lives there, and always trying but so much to see lol!!! Sadly Dippy we haven’t had as many sunny days as usual this year. French market stall holders and indeed shopkeepers are always willing to offer tasty, tempting morsels, so you’d be in your element. Great town! Beautiful, quaint and sunny. I know I’d love it. Put it on your bucket list Neil though, to be fair, there’s loads of lovely towns and villages all along the coast. Maria, I’m very fortunate to live near the sea and close to lots of charming small towns and villages. I’m a sucker for markets too.